Bankruptcy and Legal Aid Blog | Groce & DeArmon, P.C. What Will Happen to Your House After Filing Bankruptcy? One of the first questions that comes to mind when considering bankruptcy is, “What will happen to my house?” Being in an overwhelming financial situation raises concerns about what the future will look like. However, in most cases, you will not lose your house as a result of bankruptcy. There are several factors that determine whether or not you will be able to maintain ownership. Every bankruptcy case is different, so it’s important to understand the components that make up your specific chapter filing. One of the most important steps in the filing system is determining what assets qualify for exemption. Read on to learn all the details from the attorneys at Groce and DeArmon in Springfield, Missouri. While filing bankruptcy, you are able to keep some of your assets. These assets are known as exempt property. Usually, you are allowed to keep your house because it is viewed as a necessity. Having home equity that exceeds the value of your home will be a consideration when filing for bankruptcy. In order to determine your home equity, you will take the home’s market value and subtract the amount of outstanding debt from your mortgage. You need your exemption to surpass your equity to increase the odds of maintaining ownership of your home. Chapter 7 bankruptcy is also known as the “liquidation bankruptcy” because trustees can sell some of your property to repay creditors. The total value of assets that are non-exempt will be an important factor for the liquidation process. Having enough equity in those non-exempt assets to repay the creditors will make it easy to avoid the liquidation of your home. Another major factor is whether you are staying up to date on mortgage payments. If you are making payments on time, the likelihood of keeping your house is higher. The main purpose of chapter 13 bankruptcy is to formulate a payment plan with the lender over a three to five year period. You are more likely to maintain ownership of your home, however, there is some difficulty with a chapter 13 filing. Along with the new payments to your lenders, you must also maintain your original mortgage payments. If you are able to pay both payments on time throughout the entirety of the plan, at the end of the contract you will be out of bankruptcy and you will keep your home. But if you fall behind on these payments, you have a higher chance of losing your home. We understand that keeping ownership of your house is a priority. At Groce and DeArmon, we will work with you during the entire filing process and be a resource to you even after the case is closed. Contact Groce and DeArmon to discover more about how we can help your case. The reasons to file for chapter 13 bankruptcy can be very situational. Chapter 13 bankruptcy, also known as “Wage Earner’s Bankruptcy,” enables individuals to restructure their payments within a three to five year period while keeping their assets. Unlike other bankruptcies, chapter 13 provides a plan to repay all or a significant portion of the debt. So, what comes next? What can you expect in the future? You will likely have many questions about life after chapter 13 bankruptcy. Today, Groce and DeArmon help to answer some of these important questions to make your situation easier. If you are filing for bankruptcy, it is likely that you have dealt with debt issues which affected your credit score. A first step in the rebuilding process should be applying for a secured credit card. In order to use the card, you need to deposit money to ensure initial payment. Secured cards are a great way to rebuild credit and become more spending-conscious while also being transparent with the credit issuer. Groce and DeArmon Quick Tip: It can often be difficult to get approval for an unsecured credit card after bankruptcy. Start with a secured credit card and improve your credit score! It will be beneficial to stay up to date on your financial reports during the next three to five years. There can be mistakes hidden in credit reports that may go unnoticed without a careful eye. Life after chapter 13 bankruptcy needs to be very organized and cautious. By reviewing monthly credit reports, you can see what your spending habits are and determine what actions you should take to prevent overindulgence in unwanted categories. You will need to limit some areas in your spending in order to prevent future problems. Make a detailed budget that shows your priorities and stick to this budget. If you are filing chapter 13 bankruptcy due to medical expenses, a job loss, or for other reasons, make sure to prioritize spending in areas that are necessary for daily life in your situation. Budget in an emergency fund just in case a situation arises without warning. Often times, not being prepared for an emergency can be the tipping point back into debt. Groce and DeArmon offers resources to help individuals post-bankruptcy. We are able to provide advice for how to recover from chapter 13 bankruptcy, and we have specialists that can answer your questions. We wish you the best in your financial journey, and we want to assist you to the best of our abilities. Contact Groce and DeArmon, P.C. to talk to a bankruptcy attorney or visit our website to learn more about the services we offer. Repossession of a vehicle is a tiring and often confusing process, and making the decision to file for bankruptcy only adds to the stress. It’s important to understand the reason your vehicle is in repossession before you decide whether bankruptcy is the best solution. Filing for bankruptcy before your car is taken may give you certain rights as a property owner to prevent further action. There are also ways to get your car back after a repossession. In today’s blog, the bankruptcy attorneys at Groce & DeArmon explain the different ways you can avoid or delay a repossession of your vehicle. Lenders of a secured loan may repossess property obtained through the loan if you have not been able to make payments on that loan. 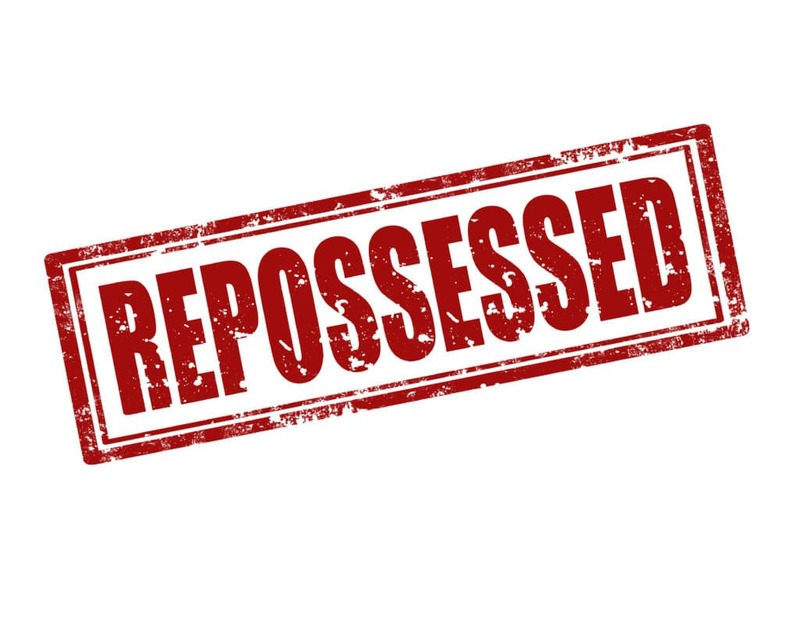 Repossession usually occurs on property such as vehicles or real estate, and will most often occur with notice and without force. Without further action, repossession usually results in the lender selling the property to pay off the remaining balance of the loan. Chapter 13 bankruptcy, also known as the wage earner’s plan, allows individuals with consistent income to create a plan to repay all or part of their debt. Repayment plans are typically made in installments over three to five years. This form of bankruptcy is available for all individuals with unsecured debt less than $394,725 and secured debt less than $1,184,200. Chapter 13 bankruptcy prohibits the lender from repossessing your vehicle or property until the payment plan is approved by the judge. However, this may not protect you if you have filed for Chapter 13 bankruptcy in the past 30 days or you reject a personal property lease. In these cases, the creditor can ask the court to lift the automatic stay. One benefit of this type of bankruptcy is that it may reduce the balance on your loan to match the value of the property. If you feel that Chapter 13 bankruptcy is right for you or you have questions about filing, call the bankruptcy attorneys at Groce & DeArmon. Chapter 7 bankruptcy is the most common form of bankruptcy available to qualifying individuals, couples, or companies through the use of an overseeing Trustee. Chapter 7 bankruptcy is normally dismissed several months after the case is filed and may result in the selling of personal property and unsecured debts being wiped out. Redeem: Buy the vehicle back from the lender in one lump sum. Reaffirm Debt: Agree to new terms of payment with the lender. If you decide that Chapter 7 bankruptcy is right for you or you have questions about filing, call the bankruptcy attorneys at Groce & DeArmon for help. Filing for bankruptcy is not always the best option for dealing with repossession. Here are a few things to consider before you make the decision. Reinstating your vehicle loan by making all past due payments in one lump sum may help you avoid filing for bankruptcy. Contact your lender right away and start by requesting a reinstatement quote. The reinstatement amount is typically viable for a short amount of time and is no longer feasible if the car is sold. Redeeming your vehicle is the act of paying off the remaining outstanding balance of your loan, including the fees and charges. Redemption is typically viable for a short period of time and is no longer feasible if the car is sold. It’s always a good idea to contact an experienced bankruptcy attorney at Groce & DeArmon to ensure you are making the right decision about filing for bankruptcy in the event of repossession. Schedule your free consultation with us today. What Are the Wage Garnishment Laws in Missouri? In today’s blog, the attorneys at Groce & DeArmon, P.C. discuss the Missouri Wage Garnishment Laws and explain how filing for bankruptcy can help stop a garnishment. Read on in today’s blog to learn all the details. Wage garnishment is when a court orders that your employer withhold a part of your paycheck to pay back a creditor to whom you owe money. In most cases in Missouri, creditors can garnish up to 25% of your wages and sometimes more. Wages can be garnished to repay outstanding debts on child support, defaulted student loans, consumer debts, and unpaid income taxes. How Does Wage Garnishment Happen? If a creditor finds that you are falling behind on payments, they cannot immediately start garnishing wages. Wage garnishment will only happen when a creditor sues for nonpayment of debt, proves that you owe the claimed amount, and then wins a court order to follow through with garnishment. Following the court order, local law enforcement will serve you, the garnishee, through either your employer or your bank. After you have been served, you have 5 to 30 days to object to the court order before the garnishment begins. Groce and DeArmon Quick Tip: Not all creditors need to file for a court judgment before garnishing wages. If you are in this situation, contact an attorney right away. 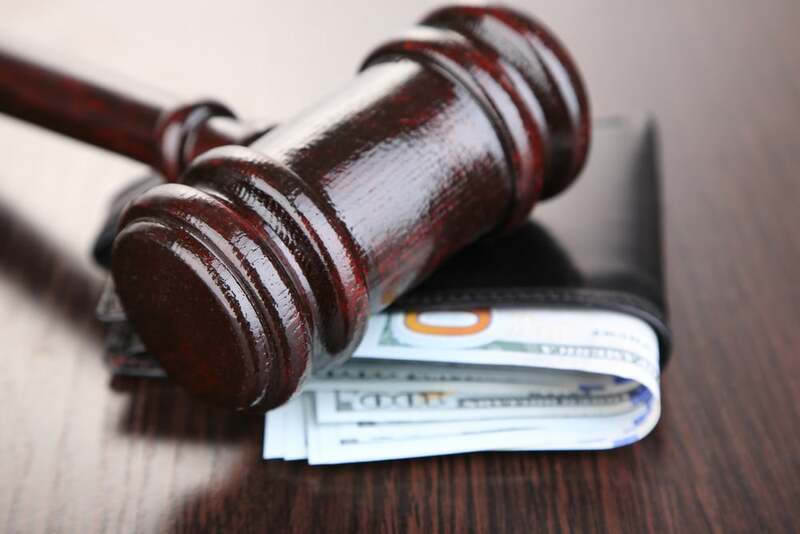 If you find that a wage garnishment will cause undue financial harm to you or your family, you may have certain rights, such as objecting to the court order, requesting a lower percentage of wage garnishment, or filing bankruptcy. How you object to a wage garnishment varies based on the type of debt that is being collected and the state you live in. The period of time between being served and the end of the objection period is typically very short, so it is smart to act fast and contact a debt attorney to help you through the process. The three types of creditors in this section have the right to garnish wages without a court order. For child support debts, up to 50% of your disposable income earnings may be garnished if you are supporting a dependant other than the one involved in the garnishment. If you are not supporting a spouse or child, 60% of your disposable earnings can be garnished. 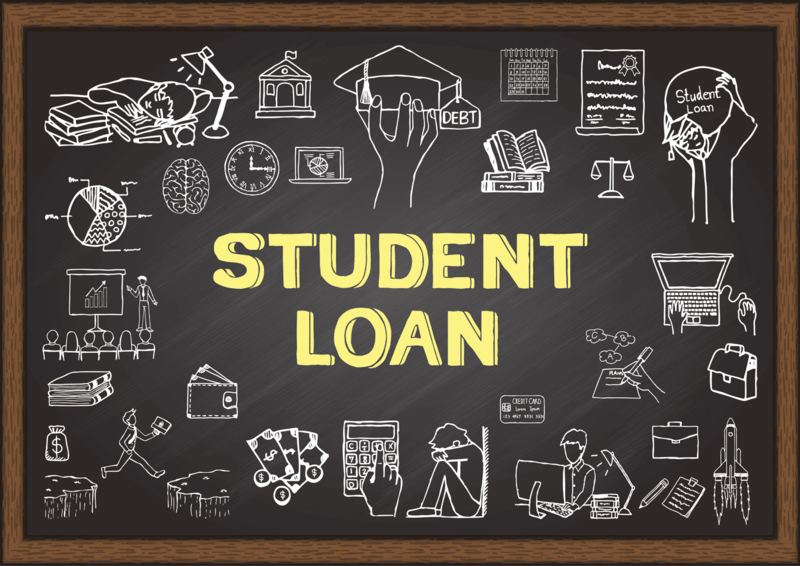 For defaulted student loans, creditors such as the Department of Education can garnish up to 15% of your disposable income, but not more than 30 times the minimum wage. For unpaid taxes, the federal government can deduct taxes from your wages without a court order based on the number of dependents you have and your deduction rate. In some cases, state and local governments may also be able to garnish wages for unpaid taxes. Filing for bankruptcy can help stop a garnishment in many cases and help erase debt at the same time. Filing for bankruptcy will put an automatic stay in place, which will prohibit most creditors from collecting debts and seeking wage garnishment. 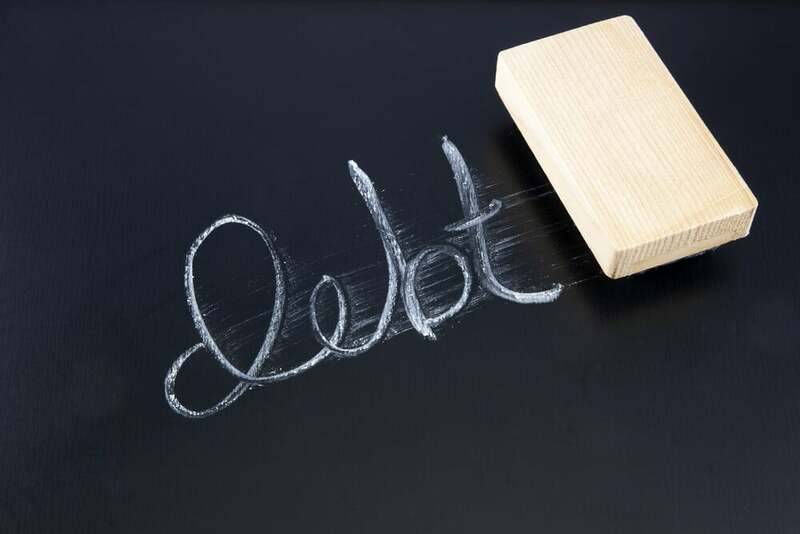 Following bankruptcy, creditors cannot garnish discharged debts such as credit card balances, personal loans, and medical bills, but they may resume garnishment on nondischargeable debts. When filing for bankruptcy, it is important to know that it will not stop all wage garnishments. It is also important to know which type of bankruptcy is best for you. This is why the bankruptcy lawyers at Groce & DeArmon are here for you. Contact Groce & DeArmon, P.C. today to talk to a bankruptcy attorney. Groce & DeArmon: What Are the Do’s and Don’ts of Foreclosure? Foreclosure can be a stressful, frightening, and intimidating experience because nobody wants to lose their home. High amounts of stress can cause mistakes, such as not taking the right action when necessary or making the wrong decision. If you want to keep your home and survive the process with minimal anxiety, it’s crucial to learn the do’s and don’ts when facing a foreclosure. The Groce and DeArmon law firm explains more in today’s blog. Call your mortgage servicer right away if you think you’ll have difficulty making your monthly payment. You may be able to develop a repayment plan. Also, keep track of when you call, who you spoke to, and what was discussed. You might need records of all communication with your servicer to help you fight the foreclosure later on. Your foreclosure could be judicial or nonjudicial, depending on your state laws and your circumstances. Learn each step in the foreclosure process so you know what to expect. You should also research federal and state laws that can protect you while you’re in foreclosure. A mediation program might help you avoid foreclosure. 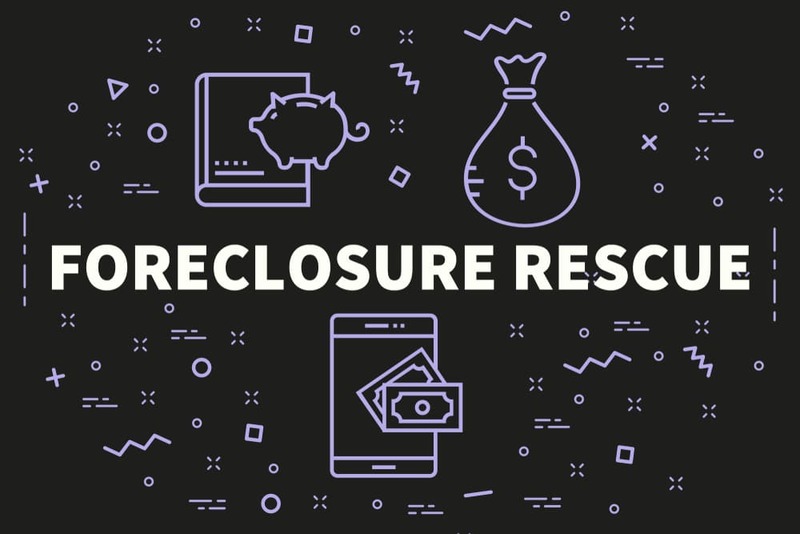 Some states, as well as certain counties and cities, offer special mediation programs to homeowners who are in foreclosure. This is when the borrower and lender come together, along with a neutral mediator, to attempt to resolve the misdemeanor. To learn more about foreclosure mediation in Missouri, consult with Groce & DeArmon today. Rather than being a nagging authority figure, your servicer is likely trying to help you. The phone calls or letters often tell you how to apply for the options to avoid foreclosure. Don’t ignore these calls. Be careful of the companies out there who claim to be foreclosure rescuers. Sometimes they say you should pay them instead of your servicer, but this is probably a scam. The company might take your money and fail to stop the foreclosure, which would put you even more behind on your payments. If you vacate your home, you won’t get the chance to stay there for free during the foreclosure. In order to qualify for assistance, homeowners usually need to be living in their home. Also, remember that you’re still responsible for the property until the foreclosure ends, even if you aren’t living there. For these reasons, it’s unwise to move out of your house early. If you want to fight a foreclosure, consider hiring the attorneys at Groce & DeArmon to represent you. With over two decades of legal experience in Springfield, we are committed to helping our clients regardless of their situation. We can help you decide what to do and we will explain your legal rights and responsibilities. Schedule your free consultation with Groce & DeArmon, P.C. today. Foreclosure is when the lender takes possession of a property because the mortgagor doesn’t make their mortgage payments. Some foreclosures occur when the homeowner abandons the home, but most happen when they give the home over to the bank. Foreclosure and bankruptcy often coincide with each other. Waiting to file bankruptcy until after foreclosure can be beneficial in certain circumstances. However, you’ll need to weigh the benefits against any negative tax ramifications. 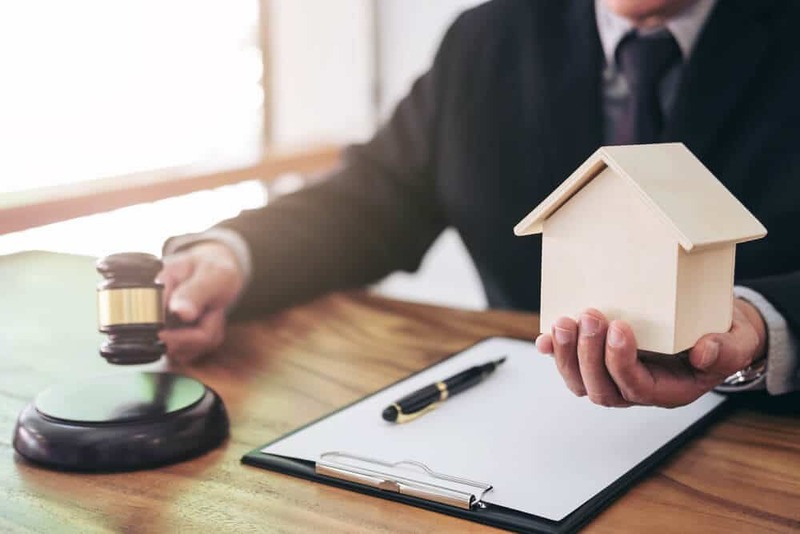 In today’s blog, the bankruptcy and foreclosure lawyers at Groce and DeArmon explain some situations where you might want the foreclosure sale to go through before you file for bankruptcy. If you are faced with a deficiency judgment, which is the difference between the mortgage amount and the property auction price, you can erase it in Chapter 7 or Chapter 13 bankruptcy. Also, you can pay other bills at the same time and start fresh. So, if you’re only filing for bankruptcy to avoid a mortgage deficiency balance, it’s best to wait until your foreclosure sale, as you may not be liable for a deficiency anyway. Another advantage of waiting to file is that you’ll be able to wipe out any homeowners’ association dues assessed against you before the foreclosure occurs. Filing your bankruptcy after the foreclosure sale means that you avoid having to pay dues assessed on the property because this property is no longer in your name. Any dues that are owed would be those assessed before your filing, and they would be eliminated in your discharge. There is a downside for waiting to file that you should know. People who file bankruptcy after foreclosure can’t receive the tax benefits that come with a bankruptcy discharge. If you owe capital gains or tax on debt income, you’ll have to qualify for another IRS exception to avoid paying the tax. Whether you are facing bankruptcy, foreclosure, or both, it’s wise to consult an experienced lawyer. At Groce and DeArmon, P.C., we want to help you get on the road to recovery and make the bankruptcy and foreclosure process easier on your finances. Call us today at (417) 862-3706 to schedule your free consultation. A foreclosure typically begins after a homeowner falls behind on mortgage payments. If you’ve missed a few mortgage payments and have been persistently contacted by your bank, filing bankruptcy can help you. The timing of your bankruptcy can make a difference for you, and whether you should file before or after foreclosure depends on your particular situation. In some cases, it’s better to file for bankruptcy first, before the foreclosure sale occurs. Today, learn all the details about the process of filing for bankruptcy before foreclosure. 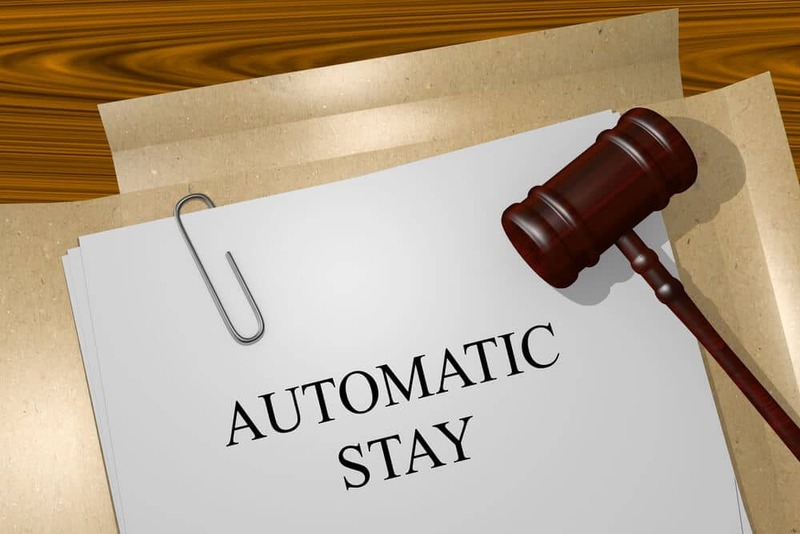 Once the bankruptcy case is filed, legal protection called an automatic stay is issued by the court. The automatic stay restricts creditors from pursuing any debt collection actions, including a foreclosure on a home. Your lender has the right to ask the bankruptcy court to remove the automatic stay and allow them to move forward with the foreclosure. But there is often a surplus of foreclosed homes on the market, so lenders usually wait for bankruptcy cases to conclude before continuing with foreclosure. The automatic stay stops the foreclosure and allows you to stay in your home for the time being. As your bankruptcy goes through the court system, which could take three or four months, you can live in your home without paying mortgage or rent. This will then help you build up your savings. Be aware that the length of the stay can vary, depending on your circumstances and the bankruptcy chapter you file. The foreclosure could last for several months, it could last for five years, or it could be permanent. In Chapter 13 bankruptcy, you make payments to your creditors over a three to five year period. You may keep your property in return. If you are in foreclosure and you want to try to keep the property, you may be able to pay off your overdue mortgage payments over the progression of your repayment plan. Then, at the end of your plan, you will be current with your mortgage again. You would not be able to get caught up on missed mortgage payments if you file bankruptcy after your home is sold at foreclosure. A deficiency is the difference between how much you owe when your home is sold at foreclosure and its fair market value. By filing bankruptcy before the foreclosure sale, you remove your legal responsibility to pay the deficiency. Bankruptcy will also eliminate your obligation to pay mortgages that weren’t paid through the foreclosure sale, such as a second or third mortgage. You can also avoid the tax consequences that can follow a foreclosure, such as capital gains or tax due on forgiveness of debt income (if the mortgage company waives its right to collect a deficiency). It’s important to discharge the debt before the tax gets assessed. If foreclosure is a threat to you, it’s important to seek out legal aid immediately to see what you can do to stay in your home. For more information about bankruptcy and foreclosure, contact Groce & DeArmon, P.C. today or call us directly at (417) 862-3706. Factors to Consider: Should I File Bankruptcy Before or After Divorce? Bankruptcy Attorney: Should I File Bankruptcy Before or After Divorce? Divorce is often mentioned as a prominent reason for a bankruptcy filing. While bankruptcy added to a divorce may be tiresome, proper planning can ease some of the difficulty and make both your bankruptcy and divorce more cost-effective. Whether you should file for bankruptcy before or after a divorce depends on a few factors: filing as a couple or separately, where you live, how much property and debt you have, and what type of bankruptcy you want to file. In today’s blog, the bankruptcy attorneys at Groce and DeArmon explain what to consider when deciding which should be filed first — bankruptcy or divorce. Before you are divorced, you and your spouse are eligible to file bankruptcy jointly. It costs less to file bankruptcy together as opposed to apart. Thus, divorcing couples typically file a joint petition, which includes both spouses’ financial information in one set of documents. 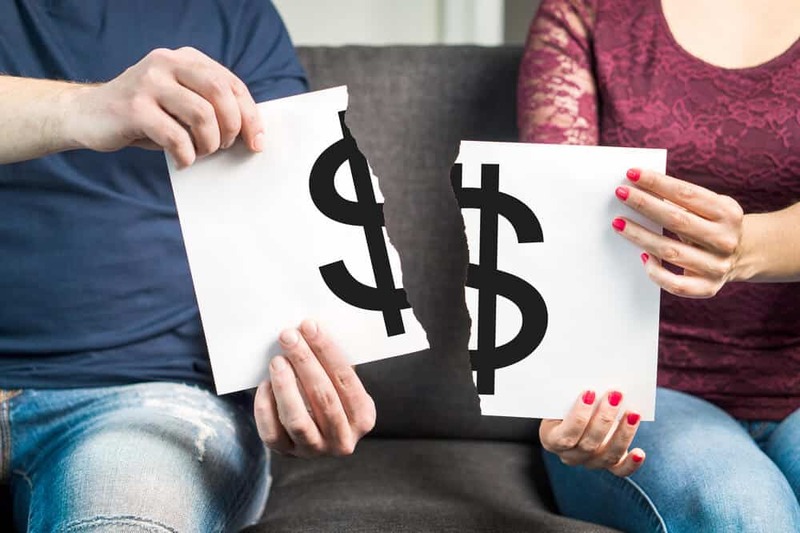 Filing bankruptcy together will also discharge the qualifying debt of both spouses, which will trim the issues to be decided in a divorce court. But, married couples are not legally required to file bankruptcy together. An individual filing might be more beneficial if one spouse needs bankruptcy protection immediately. Each spouse may also find it easier to qualify for bankruptcy after the divorce because of a shared decline in income. Bankruptcy and divorce costs must be considered when deciding which to file first. For bankruptcy filings, the joint fee is the same as the individual fee. Therefore, you can save a lot of legal fees if you file a joint bankruptcy with your spouse before a divorce. Filing before a divorce can also help clarify debt issues and property division. As a result, your divorce costs can be lowered. Another factor to consider is what type of bankruptcy to file. Chapter 7 bankruptcy is designed to eliminate your unsecured debts, like credit card debt and medical bills. You typically receive a discharge after just a few months, so a Chapter 7 bankruptcy can be completed quickly before a divorce. If you wish to file jointly, you must include your combined income in the bankruptcy. If your combined income is too high and you don’t pass the means test, you might not be able to qualify for a Chapter 7 bankruptcy. A Chapter 13 Bankruptcy lasts three to five years, since you have to pay back some or all of your debts through a repayment plan. If you’re looking to file a Chapter 13 bankruptcy, it would be better to file individually after the divorce because the process takes a long time to finish. When considering whether to file for bankruptcy or to divorce first, there are some complicated issues that you may want to discuss with a qualified attorney. Neither bankruptcy or divorce is an easy process, and that’s why the bankruptcy attorneys at Groce & DeArmon are here for you. We’re committed to our clients and we handle each case with efficiency and care. Contact Groce & DeArmon, P.C. today to talk to a bankruptcy attorney. In most cases, filing for bankruptcy is straightforward if you meet the requirements. While it’s rare for a borrower to have to go trial, disputes can emerge from creditors or trustees. If there is a dispute, a bankruptcy judge will step in and resolve the conflict. If a dispute has arisen during your bankruptcy case, read on with Groce & DeArmon to learn what you can expect. Broadly speaking, there are two types of bankruptcy litigation: contested matters and adversary proceedings. These two types differ in complexity and how the court will handle them under the rules of bankruptcy procedure. Some litigation in bankruptcy cases must be handled as a separate case called an adversary proceeding. Similar to other types of lawsuits, the proceedings involve a plaintiff and a defendant, and will ultimately be decided by a judge or jury without prior settlement of the litigants. Any issue in a bankruptcy case can essentially be filed as an adversary proceeding. The rule includes other actions, as well. For more about adversary proceedings, reach out the bankruptcy lawyers at Groce & DeArmon. Some issues in a bankruptcy case are simpler than others. In these situations, the court will resolve the problem as a contested matter. Examples include objections to proof of claims, objections to Chapter 13 plans, and motions to lift an automatic stay. If the disputes become complicated, a judge could turn the case into an adversary proceeding. After listening to both sides respond, the judge decides the matter through a hearing process. Most decisions made in adversary proceedings and contested matters can be appealed. When the appeals are filed, the U.S. District Court or a bankruptcy appellate panel will typically review a bankruptcy court’s decision. Then, an adversary can appeal a case to the U.S. Circuit Court of Appeals, and eventually to the U.S. Supreme Court. 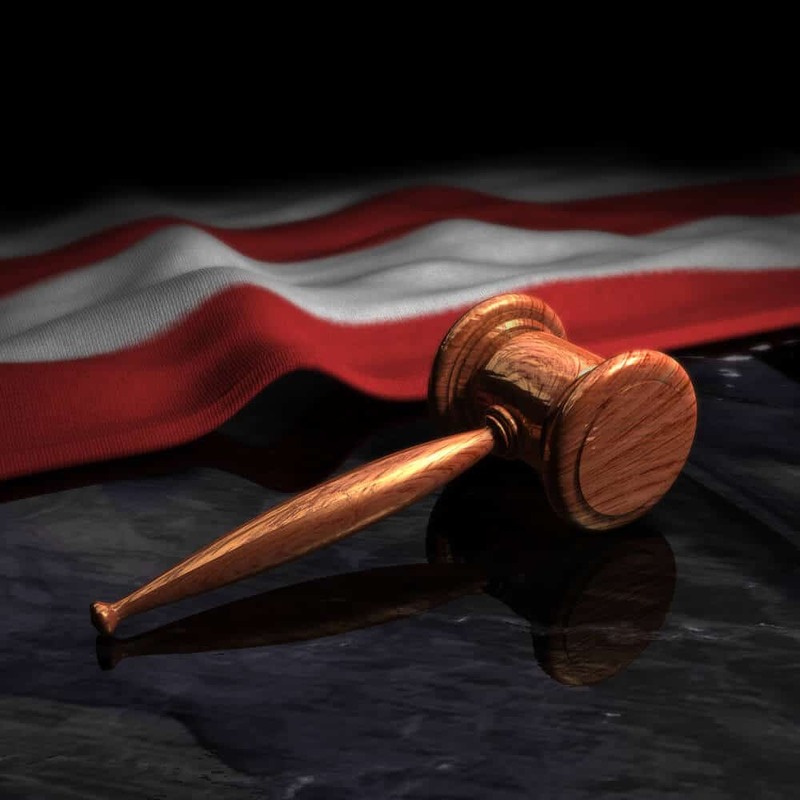 Most lawsuits and cases are handled by a bankruptcy lawyer and don’t go directly to the U.S. Circuit Court of Appeals. The bankruptcy court tends to deal only with issues of liquidation of assets and payment of debts. Divorce or child custody cases, personal injury matters, and probate matters are not usually decided by a bankruptcy judge. If you’re considering bankruptcy and you’re concerned about the process, call a bankruptcy lawyer at Groce & DeArmon, P.C. Our attorneys have the experience to help steer you through the difficulties of bankruptcy filings. To set up a free consultation, you can reach our office at 1-800-640-3706.